Volunteer Teach English Honduras. Thanks to a devoted team of internationally-recruited volunteers and locally recruited Honduran teachers, students at the Cofradia Bilingual School receive more in-depth, expert instruction in all subject areas than would otherwise be available. All volunteer-taught classes are conducted in English, so Spanish-language skills are not required. Similarly, prior teaching experience is not required to work at CBS. While experience in education is undoubtedly beneficial, we value more highly motivated, passionate, and hard-working people. We are currently recruiting English teachers for Preparatoria (ages 5-6) through 11th Grade (ages 16-17) for the upcoming school year starting in August. English teachers may also teach Math (grade 1 only), Science, and Physical Education (all taught in English). The CBS school year goes from August to June, with several holiday breaks during that time. Our teachers work Monday-Friday from 7:00am-2:10pm. Volunteer accommodation is provided free of charge in a shared room in one of our fully-furnished volunteer houses. Breakfast and lunch are provided on school days, and basic groceries are purchased for the volunteers for cooking outside of school hours. We will accept and accommodate males, females, and couples as volunteers. No age preferences, as long as over 16. Internet access: We have Wi-Fi access. Travel base: Besides teaching amazing children, volunteers will be able to travel around Central America on their own during school holidays. Gain life skills: As any of our volunteers can tell you, working in Honduras can be challenging. However, as a result, volunteers form meaningful bonds with their students, each other and the members of the community they serve. They become an integral part of a program that is unwavering in its devotion to its mission and its students. 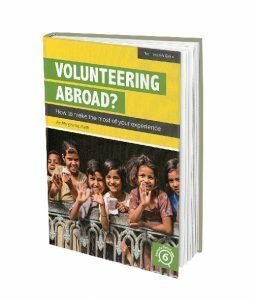 Our volunteers gain life-skills that can help them in the future, and leave CBS with a better understanding of the world around them.